Join us at Eckert’s Farm in Belleville for Breakfast with the Bunny! From 8 – 11 a.m., we’ll be serving up a hearty country meal to start this fun-filled day. Our family-style breakfast includes scrambled eggs, hash brown, bacon, sausage and biscuits and gravy, plus a buffet of cereals, fruit and fried biscuits. In addition, your choice of coffee, juice, tea, milk or soda is included. It’s a bountiful breakfast that kids and adults alike will love. While the breakfast is sure to be tasty, you’ll also enjoy getting to meet the Easter bunny at our Easter event. This charming, friendly fellow will be on hand to delight the kids and add some festive fun to your breakfast. The cost for this event is just $6.99/child and $12.99/adult. To make a reservation, please call 618-233-0513 x 3. Hop on down the bunny trail and fill your basket with fun at Eckert’s Annual Easter Egg-Citement! This event is packed with engaging family-friendly activities. 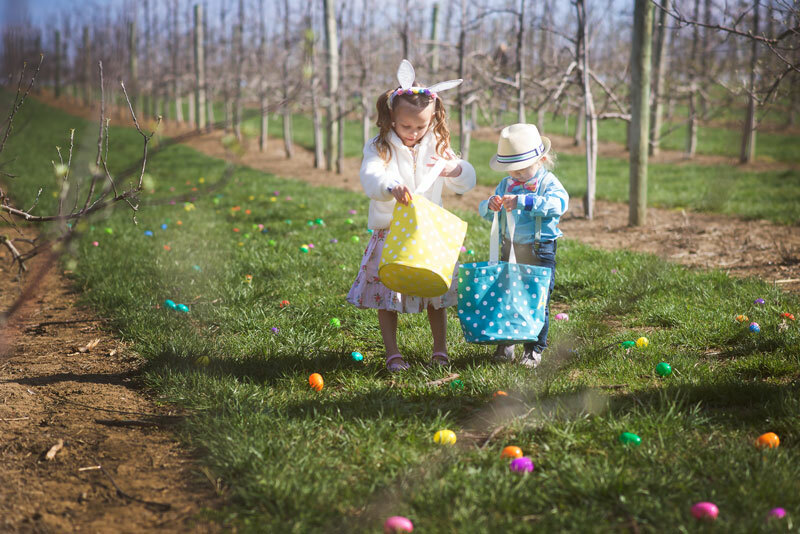 Don’t miss the massive Easter egg hunt where little ones can romp around the field to discover hidden treasures. It’s a classic Easter tradition that we’ve taken to the next level with thousands of eggs planted around our scenic grounds. While our Easter egg hunt is the highlight of the event, that’s only the beginning of what’s in store at our Annual Easter Egg-Citement festival. 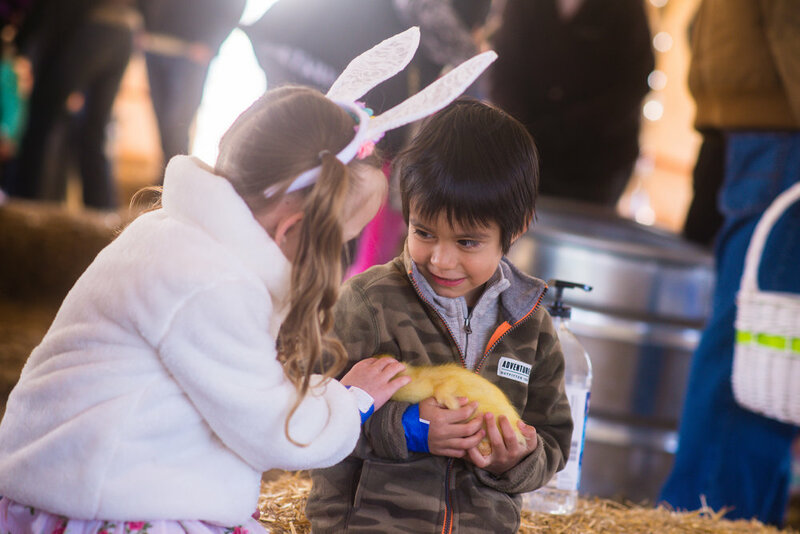 Take the kids to see sweet baby chicks and ducks, get your face painted, plant a seed and savor a yummy Easter treat during your day on the farm. The Easter bunny will be available for meet-and-greets as well. Easter egg hunts will take place at 9 a.m., 10 a.m., 11 a.m., 12 p.m., 1 p.m., 2 p.m. and 3 p.m. on April 6, 7, 13, 14, 19 & 20 at the Belleville, IL Farm and at 10 a.m., 12 p.m., 2 p.m. on April 13, 14 & 20 at the Versailles, KY Farm. This is a can’t-miss event that’s sure to produce some cherished family memories and some adorable photo opportunities. Enjoy all of the Easter fun for just $12/child. We encourage you to make reservations online, so you are sure to get the hunt date and time you desire. Please arrive to the Fun Corral, located across from the Garden Center, 15-20 minutes before your designated hunt time. Belleville, IL Farm: Purchase tickets online. Versailles, KY Farm: Purchase tickets online.